The Roanoke Outside Foundation led a crowdfunding campaign that resulted in a kayak launch on the Roanoke River. The Roanoke Region has always been an outdoor wonderland. Did you know that it’s an outdoor business center, too? With a rich mix of outdoor amenities and a burgeoning outdoor industry cluster, there is limitless potential for growth. An article in Business Xpansion Journal recently highlighted a study by the Outdoor Industry Association, on 10 outdoor activities – bicycling, camping, fishing, hunting, motorcycling, off-roading, snow sports, trail sports, water sports and wildlife viewing – outdoor recreation accounts for 6.1 million jobs in this country. To put that in perspective, that is more jobs than education, more jobs than transportation and warehousing, and more jobs than construction. And there’s more. Gallup research indicates outdoor investments lead to a healthier population (and healthier workforce). And research from the Knight Foundation suggests communities that offer social opportunities, offer an openness, pleasant aesthetics and other factors that are associated with our regional approach to the outdoors are more successful overall. A top East Coast destination for outdoor activities. A culture of outdoor recreation that supports service providers. Millions are being spent promoting the region’s outdoor image. Two-thirds of the U.S. population is within a day’s drive, providing fast, convenient access to your markets. Access to a young, vibrant population with more undergraduate students on a per capita basis than San Francisco, Austin, or Boston. The cost of doing business and cost of living are well below national averages. Workers comp and unemployment insurance costs are among the lowest in the U.S. Build your brand at the crossroads of outdoor amenities in Virginia and the East Coast. For mountain or road biking, hiking or camping, bass or fly fishing, climbing or caving, whitewater or flatwater, Roanoke is your ideal testing ground. 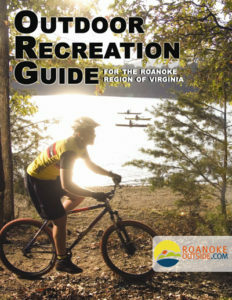 Named a top outdoor location four of the last five years by Blue Ridge Outdoors Magazine; The Weather Channel named the Blue Ridge Marathon to its list of the world’s 15 toughest marathons, Men’s Journal called Roanoke one of the 20 best mountain towns in America, and Roanoke was named the 36th best metro for a growing workforce by Area Development Magazine. International Mountain Biking Association (IMBA) Silver-Level Ride Center. More than 21 percent of all land is designated for public recreation. Most visited National Park property in the U.S. – Blue Ridge Parkway. Longest continuously marked footpath in the world – Appalachian Trail. Second largest municipal park in the U.S. – Carvins Cove Nature Preserve. Virginia’s largest lake – Smith Mountain Lake. More than 1,000 miles of trail within an hour’s drive. Wherever you land in the Roanoke Region, you’re surrounded by the natural beauty of the Blue Ridge and Allegheny Mountains. You’re close to the tranquil waters of Smith Mountain Lake, the James River, and Lake Moomaw. Get outside and explore it!